Russian Video: The Amphibian Man (Movie)! As usual at the weekends Russian Video from Russia presents Soviet or Post-Soviet full-length movies. 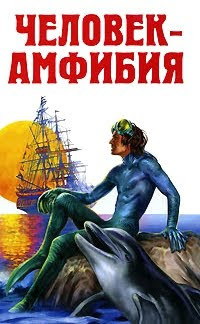 Today we will watch a very good movie (and we never show bad movies) “The Amphibian Man” (“Человек Амфибия”), 1961. This beautiful movie is based on science-fiction novel by Aleksandr Belyayev (first published in 1928). Directors: Vladimir Chebotaryov, Gennadi Kazansky. Writers: Aleksandr Belyayev (novel), Akiba Golburt (writer). This entry was posted in Movie for the weekend on December 12, 2008 by admin. it was great seeing it again after all these years. Pingback: Russian Video: Old Khottabych (Movie for kids)! thanks alot to download this film here . i’m now 53 years from alexandria – egypt . i watched this film repeatedly when i was 7-8 years old . my personalaty was affected alot by this film . tks alot again .